Ever since Hindi film music fans heard the first notes of Dev. 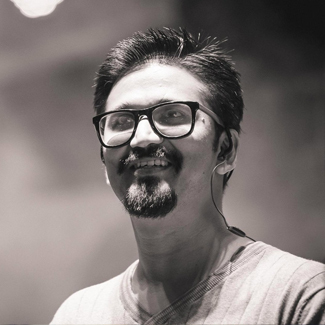 D, they have loved the amazing and incredibly cool music of composer Amit Trivedi. 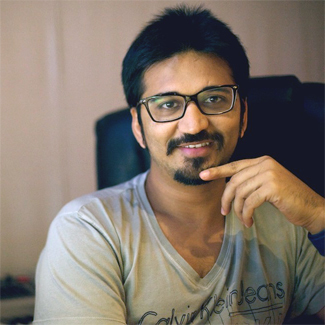 Trivedi has created some of the greatest songs in the modern age of soundtracks, including tracks on Aamir, Wake Up Sid, Aisha, I Am, Kai Po Che, Lootera, Queen, Udta Punjab, Dear Zindagi, and Secret Superstar to name just a few. He always brings a new sound, a different flavor or interesting vibe full of sound and feeling. His songs enhance the movies and our playlists. His albums always receive rave reviews and his songs are on many lists of the best of Bollywood. For his newest film, he has taken on the sound of the story and world of Pad Man. Directed by R. Balki and starring Akshay Kumar, Radhika Apte and Sonam Kapoor, the film is a fictionalized account of Padmashri Arunachalam Muruganatham, the man who revolutionized the manufacture of the low cost sanitary napkin in India. The composer talked with Stacey about his excitement and challenge of creating the music for the film, his love of music and all things gaane! Check it out! What inspires and drives you to make music? I have been a huge, huge fan of music ever since I was a kid. Anything to do with music inspires me. I love music, whoever makes it. Whoever makes great music in the entire world I am their fan because I love music so much. I am each and everybody’s fan who is putting their music out there. That really, really inspires me and keeps me going where I breathe, eat, and sleep music! Totally! What was your first thought when you heard the story of Pad Man? R. Balki, who is the director of the film, he called me and he gave us, to me and Kausar Munir the lyricist of the film, the narration of the story. The story was so amazing, so moving and absolutely inspiring that I was jumping! ‘Wow! When will I start?! It is going to be amazing fun doing music for this’. Mainly because it is based on this true character. He invented a sanitary napkin machine and the entire story revolves around this particular person. So in a way we can call it a biopic. Creating music for this was a very challenging thing, actually, in the first place, because it is not very easy to create songs that will resonate with the entire audience. See you are creating for a particular character in a film, every song, every piece of music is revolving about that particular person. So yes, it was a challenge but Balki sir made it very, very easy and very comfortable for me and for Kausar. We jammed together, all three of us, for all of the songs and we created this album. When you watch the film, you will be able to relate to the songs even better because they are so glued to the entire screenplay. For you, what is it to like have a song or melody or phrase start to run through your head? Is it sort of always that you have music playing in your head? It happens all the time, it could happen right now as we speak. (Laughs) Thanks to technology these days and thanks to the iPhone, it has made life much easier. I have my phone with me 24/7 even when I am sleeping because most of the time I get tunes when I am sleeping. (Laughs) So I keep it right next to me. Whenever it comes, I just go to record mode and record it. When you begin composing a song, how does that start for you and what instrument do you begin on? How does that all work? So, once I hear the narration and once I know the vision of the director and that this is what he is looking at and this is the world he wants me to go in I go into that world. Now there are song descriptions in the screenplay. Sometimes we go linear, but often times we just go random. It depends on the mood – whatever strikes first, whatever excites first, I just go behind that and I subconsciously start thinking about the tunes. I usually compose about 10-15 for myself until I am convinced – Oh this is the one – this is not the one – this is the one. Okay, got it (laughs) – so that is the way I select the tune for myself. So, then I make a scratch on the computer and then I play it for the director. If he likes it great, if he doesn’t back to the process. For Pad Man, the songs have some with the grounding of the percussive Indian beats with a very rural sound that I love but then later the songs change to a more modern tune, what went into the creation of the vibe and style of the songs? For example, you have the more rural songs since he is from a rural village like ‘Aaj Se Teri’ to the more modern tunes – tell us about the process of creating the different sounds of Pad Man. So for like the first song, ‘Aaj Se Teri’, since the film is set in the state of Madhya Pradesh and in a small little village where this couple lives – I thought the entire soundscape was to do it very earthy, very Indian-Desi and that would be the right approach for these characters because it will go absolutely well. The characters of Akshay Kumar and Radhika Apte, these are small town characters, very simple people and that is why there is simplicity in that track. It is their wedding song, it’s their love song; the film opens with this song when they are getting married. It is the whole journey after the marriage – the beautiful moments between the couple. So lyrically Kausar wrote it in such a way that it is like you are exchanging wedding vows. That kind of thought. I kept it very earthy and if you hear the song that is one dholak, Arjit Singh’s voice and there is a mandolin. I have not filled it too much. I thought keeping it sparse; keeping it simple would be the right thing for these characters. In India, when a girl gets her first period all the women in the village they get together and celebrate that young girl getting her first period. Sayaani means now she is growing up. From a girl she is going to turn into a woman and it is a celebration of that. Yes, ‘Saale Sapne’ is how we say in Indian context ‘these bloody dreams – they don’t let me sleep’. He is saying these bloody dreams they won’t let me sleep because of this mission I have started and the approach I have towards creating this machine – a pad-making machine. See the entire song is about how he goes about the process of making the machine. How he goes about chasing his dreams, trying to get it right, he fails and he fails but he is at it until he gets it right. The song is about chasing his dreams. Now with ‘Hu Ba Hu’, here you have an urban influence into Pad Man’s life. Sonam Kapoor enters into his life. A little contemporary urban style is what I tried for their song. It is actually a friendship song. Because she is urban I thought of giving it a little bit more of the urban touch. ‘The Pad Man’ song with Mika Singh is a celebration of sorts for Pad Man when he achieves great things in life. It is right towards the climax when you hear it. It is about celebrating this man who has done some unbelievable things. It has got full energy and full power and it has an absolute celebration vibe to it. We call the song the Super Hero song because there is phrase called Superhero – Superhero – Superhero. You must have seen the trailer, Amitabh Bachchan sir’s voice is there and he says, ‘America ke pass Superman hai, Batman hai, Spiderman hai lekin India ke pass Pad Man Hai!’. In a way it was celebrating Indian superhero. How did you choose the singers for the songs? Ah, that is another mad process! For me, most of the time whenever I compose a song the lyrics are written because I jam with the lyricist. When we arrive at a song we all like, most of the time, the song itself speaks and actually shouts I need this singer! (Laughs) This voice will do justice and only this voice will do justice! Nobody else. So, for example when I created ‘Aaj Teri’, I couldn’t think of anybody but Arjit Singh, he was the first and the last choice. 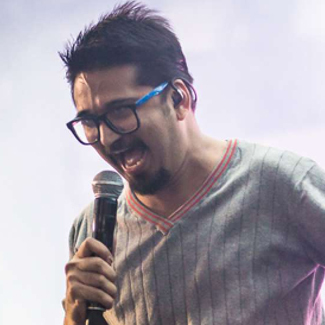 ‘Pad Man’ – Mika Singh was first and only choice because when that song got created I thought that madness needed a mad guy and who is all about celebration, happiness and being joyful. I think Mika is the right guy. Let me get that guy and let’s work. In fact, all the films and all my songs this is how I approach them. Sometimes it works, sometimes it doesn’t. You sang ‘Hu Ba Hu’ and many other songs on your soundtracks, so how do you decide which song you are going to sing? Yes, here is the catch. I do not decide! I don’t ever! At the beginning of my career, from the first film until now, all the directors have decided that this song – only you will sing. I don’t hear that. I only think about the singer. Being a composer that comes naturally to me. That is what comes first to my mind – who will sing this song. But the director has a different perspective and a different way at looking at things and they say nobody else will sing this but you. I always say, are you sure and they yes I am sure. So that is how I have become a singer. What are your thoughts on the music of films today? Well, the honest answer will put me in trouble, but it is better to be honest. I think we can do much, much better. There is a little dullness and lull in terms of overall music, I personally feel. We are not trying anything new. There isn’t much experimentation happening. Going back to old songs and recreations, the last year was full of that. Taking old songs, recreating them, remixing them that was the only thing that was happening so the original ideas are not taking off in a good way. It is a little dull time. It will slowly gradually come up. InshAllah one day! I am not happy in totality in the ways that things are going. Next is Raid with Ajay Devgn, which releases 16th of March and Blackmail, which is coming up in March 30th with Irrfan Khan. Oh! I think everything! The entire process of creating a tune out of nowhere, out of a blank space and then executing that idea into making a full fledged song, arranging them with the instruments and seeing it grow as you see a child grow. Seeing it grow right in front of your eyes. Nurturing it. Doing the best that you can do to help the child grow. Honestly that process is to die for. It is the most beautiful, most satisfying thing ever. It beats everything! It is beyond everything! 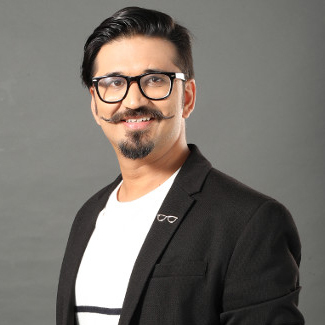 It was an absolute thrill and a completely facinating conversation with Mr. Trivedi and I would like to thank him for his fabulous answers and for all the great music he has brought to the world. I cannot wait to add more songs to my favorite song lists because I know I will! Pad Man is in theaters on February 9th!